The best SEO tips 2018 are one of the most important article for achieving better ranking. These best seo techniques 2018 help you rank as high as possible on search engine result like Google/Bing/Yahoo/etc. SEO simply stands for Search Engine Optimization. I am giving you a quick info on Search Engine Optimization. On-Page SEO means to all the things that you can do ON your website to help you rank higher, such as page titles, keywords, internal linking, meta tags & descriptions, images, etc. It is the process of optimizing each and every web page of your site. 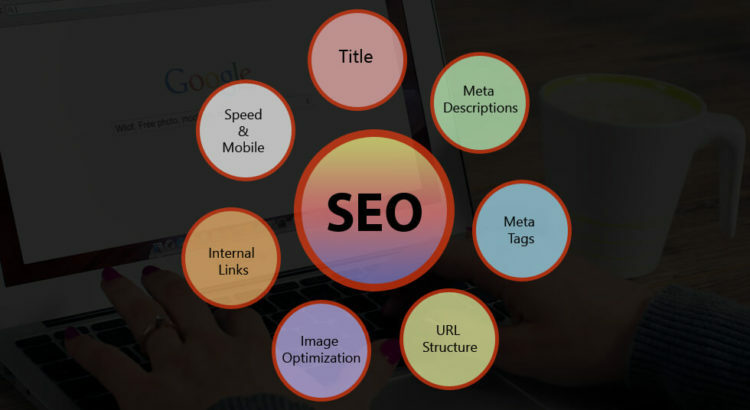 Off-Page SEO means to all the things that you can do directly OFF your website to help you rank higher, such as social networking, generates back links, article submission, forum & blog marketing, etc. In this article I will be focus on on-page optimization, and sharing lots of best SEO tips you should implement while working on optimizing your blog posts or pages. Some best seo tips 2018 are being given below which you can get high ranking on search engine. The page title or post title are one of the most important SEO representative on your website. Each of your pages & posts should have its own unique title, which includes the main keywords for that page or post. For example, you could write a blog post about SEO tips so it is important that you include ‘Best SEO tips’ within your post title, perhaps “Easy SEO technique” or “On-Page SEO technique”, etc. If someone searches for SEO tips in a search engine, your post has a better opportunity of showing up because you have included SEO related keywords. Keep the title length under 55 to 65 characters. Some people forget to include meta descriptions for their pages or posts. These descriptions are an important place to include suitable keywords for your content, because they are used within the search results when your page is listed. You can include a set of keywords in the form of meta tags in your page or post. These should be all suitable keywords of your content. Meta tags are good SEO improvement tips. The URL structure is an important part of SEO and Its gives full information about topic of the page. Therefore, the appropriate word should be used in the URL for good results. Optimize your post or page image so that it can render easily when page loads. The keywords in the “image title” and the “alt text” help to make your blog post or page more focused and targeted. There is lot of site available to compress image size. TINYJPG is one of them. When you select a word or a some set of words and interlink them to other related blog in your website, those are known as internal links. But make sure your interlinking is suitable and necessary. Two best SEO techniques that are becoming more important are Speed and Mobile friendly. You have needed to optimize your site for load fast on browser and responsive structure to open on mobile and tablet device. HTACCESS file optimization is one of the best SEO tricks. Above example is the best seo tips for beginners who starting their new blog website on WordPress. If you followed the article “Best SEO tips 2018” step by step, nobody could stop your article from appearing in number 1 in the search engine. Nofollow tags are one of the best technique for Search Engine Optimization, read our article on How to add nofollow tags and its benefit. Finally we can say if we follow some basic ideas that is given above then no need to hire a SEO team. Read our one of the best article on how to get your WordPress site listed on Google. Yes it is in limit but for those who starting their blog website but not sure how to get blog ranking on search engine. This article is best for those people. I will be add a video tutorial with the article recently.